This Slow Cooker Beef & Sweet Potato Stew proves that you don’t need normal potatoes to make one amazing stew! And yes, this came about because I had no potatoes in the house and only sweet potatoes in the pantry. That’s how it works around here. Beef Stew CAN Be Made With Sweet Potatoes! If you have been hanging around here the past 9 years, you will undoubtedly know that I am the least perfect cook out there. I run out of items. I forget to make dinner. I screw up recipes. Even with a bestselling cookbook under my belt (and another on the way!) I’m still a busy Mom, a forgetful shopper and most of all, I’m human. Can you make beef stew with sweet potatoes? Yes. And I figured that someone other than myself must have defrosted stewing beef to whip up a stew for supper only to search her pantry and find out that she has no russet or red potatoes, and only one large sweet potato that she had forgotten about completely. 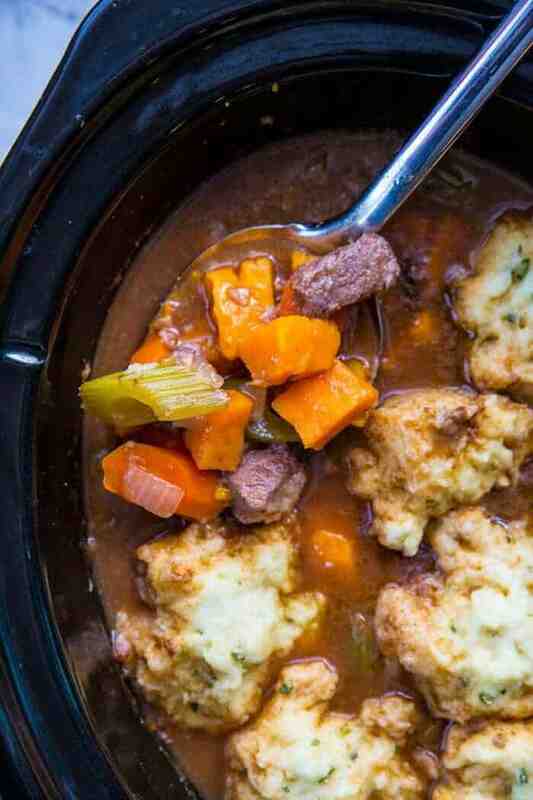 This post and recipe are for those of you out there that are stuck – like I was – and need to know if Beef & Sweet Potato Stew was a good thing. Beef and sweet potato stew, made without a single red or russet potato is a VERY, very good thing. 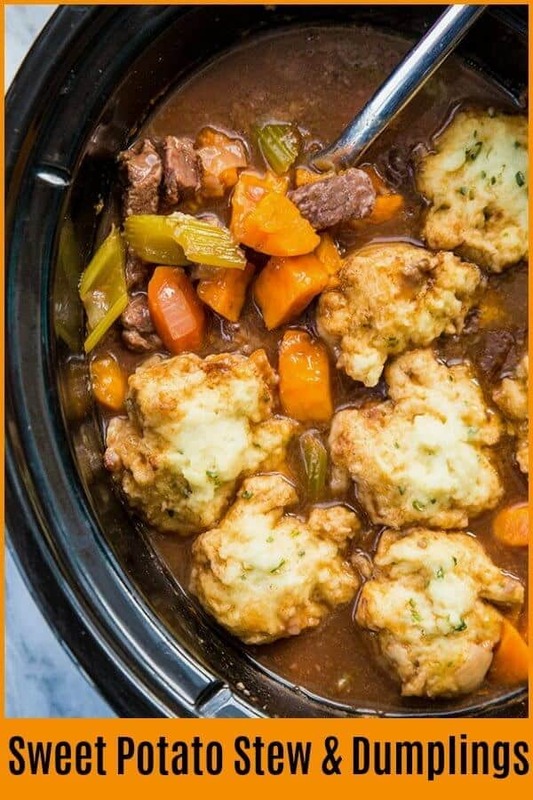 This beef and sweet potato stew was topped off with my Crockpot Dumplings Recipe, which is honestly one of my favourite kitchen hacks to date. 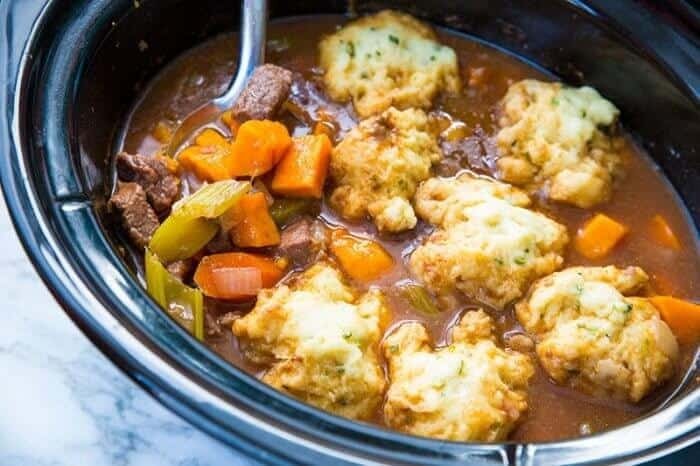 Adding on those dumplings makes this a true meal entirely done in the slow cooker – no biscuits or bread needed. I had no interest in going the sweeter route of adding cinnamon or cloves and going in another taste direction entirely. I simply wanted to answer CAN you make beef stew with sweet potatoes – and yes, you can. Now I am sure that you could take this and concoct a deliciously Eastern influenced stew with peanuts, cinnamon, cloves and the like, but that’s not what I am trying to do here. 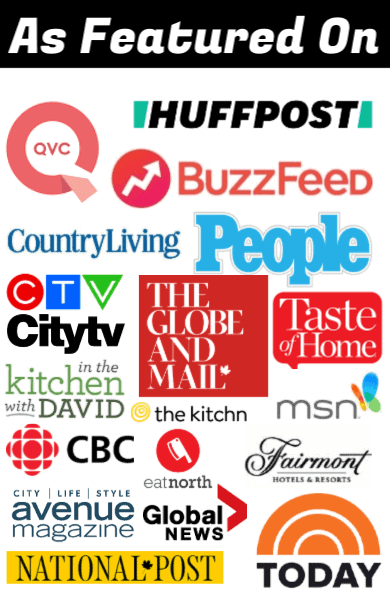 Some of my most beloved posts by readers on this website are the ones where I am solving common cooking and recipe problems and that’s what this one does. This is simple and basic Stew Making 101 with a problem and an answer! And to be honest? I would make this again even if I had regular potatoes. The sweet potatoes are simply fantastic in this and they aren’t too sweet at all. 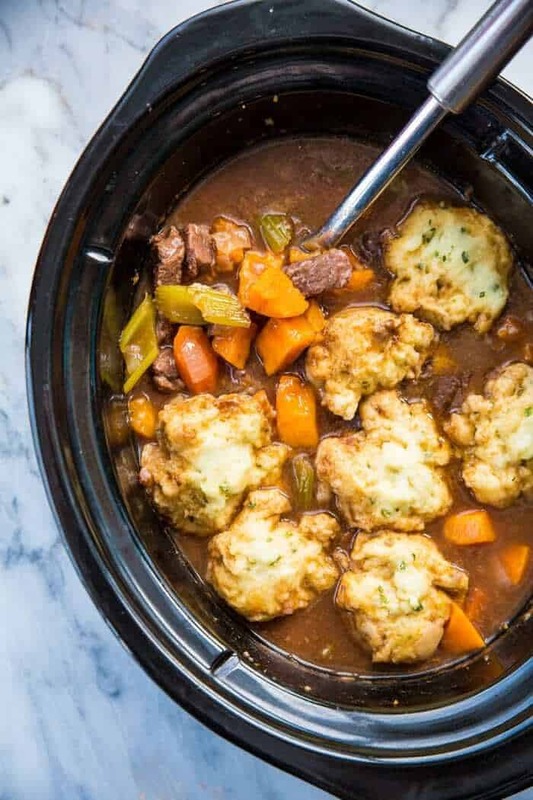 It is a fabulous taste change of pace from regular stew – and when you live where it’s winter 6 months out of the year, you need some recipes revamps, let me tell you. Happy cooking! Ask any questions you have in the comments below! Don’t forget to PIN THIS RECIPE TO YOUR BREAKFAST BOARD and remember to FOLLOW ME ON PINTEREST! This Slow Cooker Beef & Sweet Potato Stew proves that you don't need normal potatoes to make one amazing stew! In a large skillet over medium-high heat on the stove, add in the oil and heat. Add in the beef and fry until browned on all sides. Place in the bottom of your slow cooker. Add in the onion, garlic, carrots, sweet potatoes, celery and bay leaves. In a large bowl or 8 cup capacity measuring glass, whisk together the remaining ingredients until combined. Pour over the vegetables and beef, then stir to combine. Cook on low heat for 8-9 hours, or on high for 5-6. If desired, 30 minutes before serving prepare the Crockpot Dumplings according to recipe instructions. Do you have nutrition facts for this? 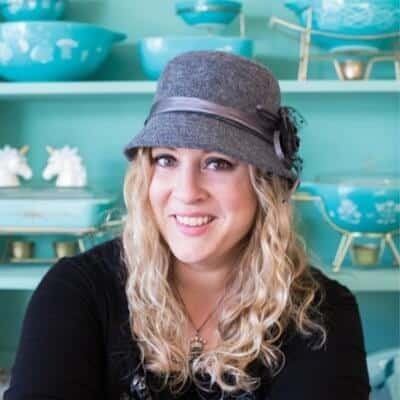 Do you have any Weight Watcher friendly recipes ?